If you are always fascinated by geology, then Jaisalmer is where you need to journey. The Wood Fossil Park or Aakal is situated about 15 kilometres away from the city. Here, you can explore and trace geologic incidents that held in the Thar Desert 180 million years ago. The city of Jaisalmer also protects western Rajasthan (and India’s) frontier. This 'Golden City’ is placed near to the Pakistan border and in close proximity to the Thar Desert. The city’s most significant tourist attraction is the Jaisalmer Fort, also famous as Sonar Qila (Golden Fort). Unlike most other forts in India, Jaisalmer Fort has houses shops, hotels and ancient havelis (homes) where generations still live. The fort of Jaisalmer is an amazing sight to explore massive sandcastle rising from the sandy plains like a mirage from a bygone era. You can get the best exotic camel-train trade routes and desert mystery. The narrow streets of the old city conceal elegant havelis (traditional, ornately decorated residences); all carved from the golden-honey sandstone as the fort – hence Jaisalmer is famous as the Golden City. A city that has arrived from dead in the past half-century, Jaisalmer might be remote, but it’s definitely not completely forgotten – indeed it’s one of Rajasthan’s grandest tourist destinations. Despite being part of one of the cities synonymous with Rajasthan tourism, Jaisalmer is geographically distanced from the other cities that tourists usually go. However, due to its prominence in the region, it is decently connected to the other parts of the state. If you are confused how to reach Jaisalmer from Delhi by train there are three direct trains from Delhi to Jaisalmer including Ranikhet Express, Howrah-Jaisalmer SF Express, and Ramnagar-Jaisalmer Express. And for those who need to know how to reach Jaisalmer from Jodhpur or how to reach Jaisalmer from Jaipur should know that options for visitors include train, car, and bus. To reach Jaisalmer from Delhi by road, it is almost 800 kilometers. Jaisalmer has a good connectivity to most of the cities by train and there are numerous options for travelers heading from anywhere in India. 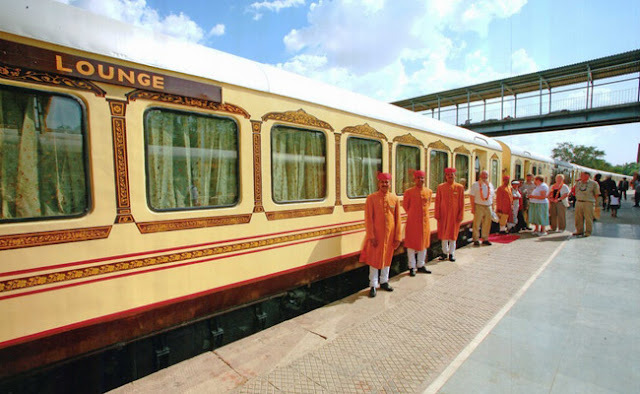 There are many direct trains going to Jaisalmer or running through Jaisalmer from cities including Jodhpur, Jaipur, Delhi, Mumbai, and even Kolkata among many others. There are three trains that run on daily basis between Jodhpur and Jaisalmer, for those finding a way travel within Rajasthan. There are also 4 trains that goes from Delhi straight to Jaisalmer, with two leaving every day and one of them being a superfast train. You can also board the luxury Palace on Wheels experience that begins in Delhi before going through the integral cities of Rajasthan, including Jaisalmer. You can even check where is your train online. Once you get on the Jaisalmer station, there are lots of auto-rickshaws and private taxis standing right outside the station that will take you to your destination on a nominal fare.